Get the IP Address of the Synergy Server then run the command below on your Raspberry Pi. In my case the IP Address of my computer is 192.168.1.85. Note: synergyc is short for Synergy Client. 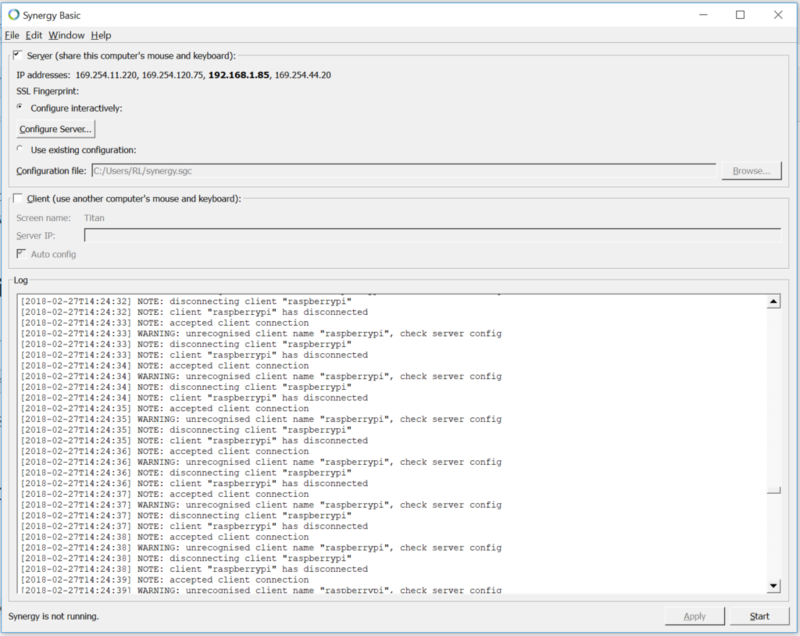 On the Server the logs would then move and show that the Raspberry Pi is connecting but is not able to connect as the server does not recognize raspberrypi (hostname of the raspberrypi). Then on the Server Configuration Window drag the computer icon on the upper right to Grid. Place it where you want have your Raspberry Pi. For me I would like to add it on the right of my Server (named Titan). Initially it would be named Unnamed. Double click on it and change the name to raspberrypi. Click OK on the Screen Setting Window. 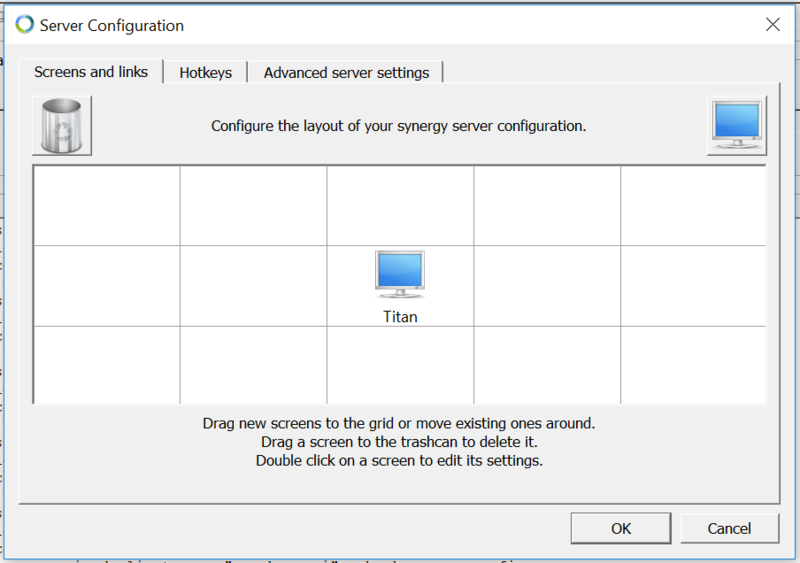 Click OK on the Server Configuration Window. Then click Apply on the Synergy Window. 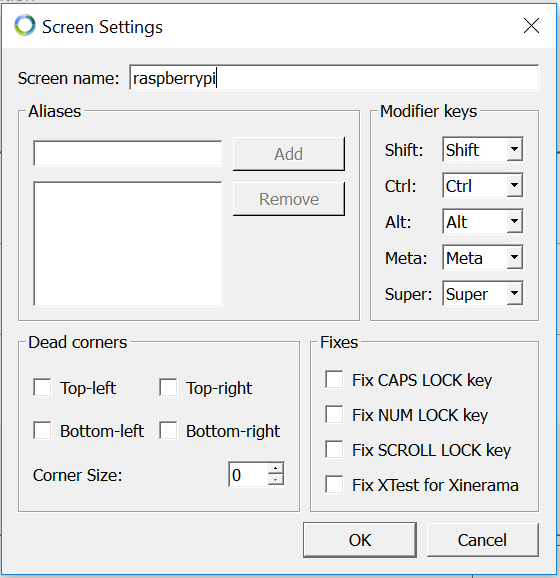 Once that is done you will now be able to use your Windows’/Mac’s mouse and keyboard to control the Raspberry Pi. Note: The active screen is where your mouse is. Run the following commands on your Raspberry Pi’s terminal. Type and save the following on the leafpad text editor. On my screen this is what it looks like. 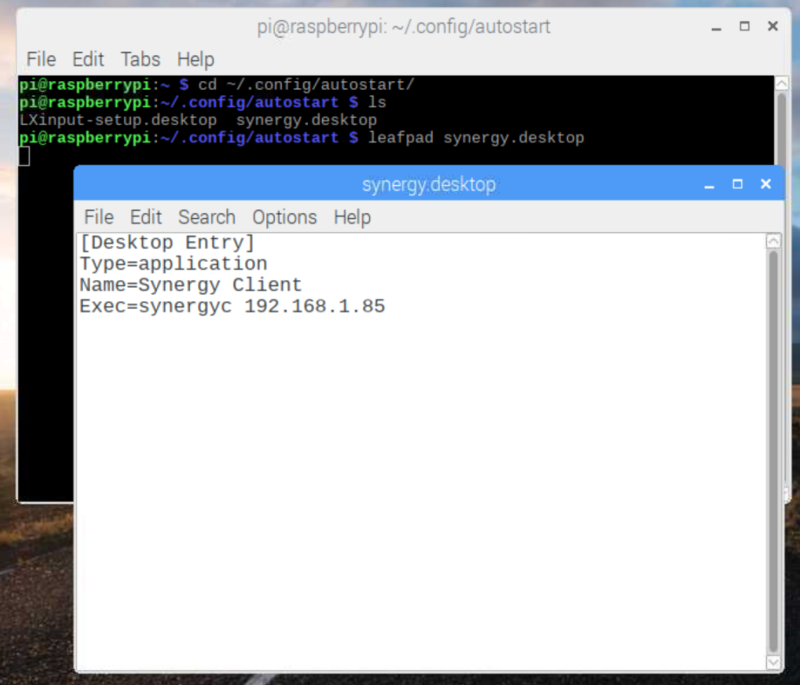 Once that is done every time you restart or power on your Raspberry Pi the Synergy will run automatically as Client and connect to the specified IP Address you set.